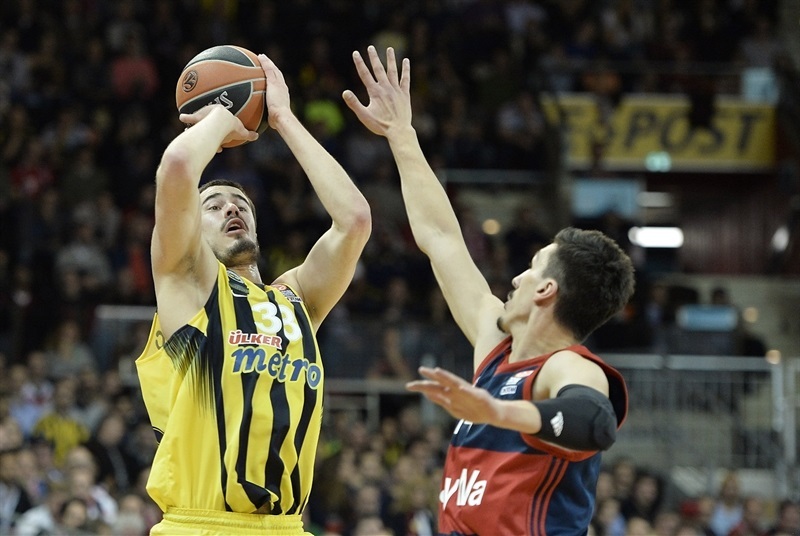 Fenerbahce Istanbul scored the first 11 points at Munich and never looked back in throttling Bayern Munich 67-84 to remain in first place in Group A of the Turkish Airlines Euroleague. 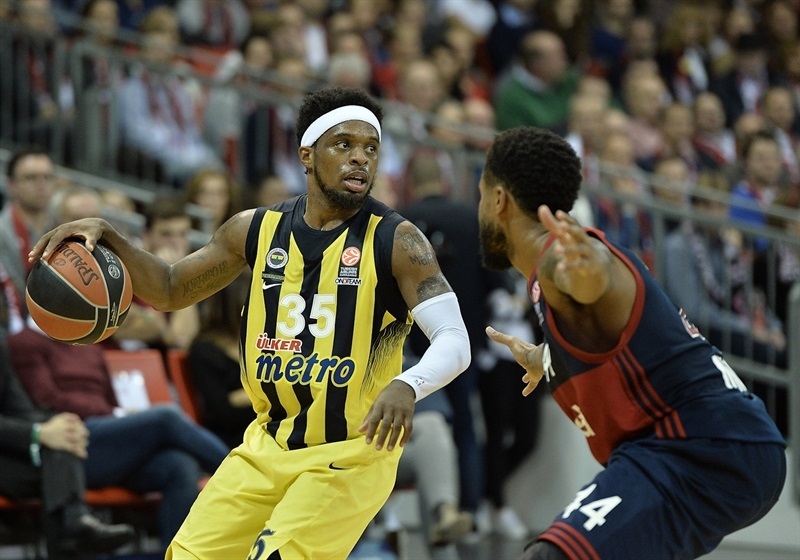 Bobby Dixon led the way for Fenerbahce with 25 points - 16 of those in the first quarter as the visitors built an early 20-point lead. 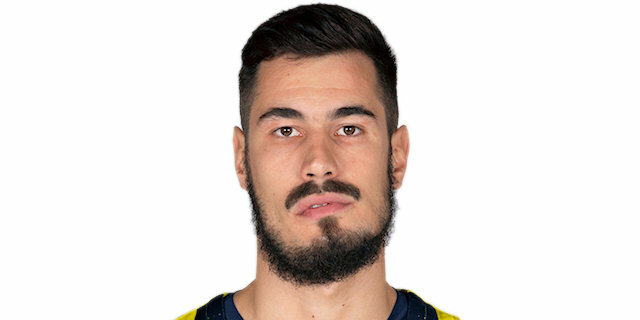 Luigi Datome added 17 points and 6 assists, while Ekpe Udoh and Pero Antic each scored 10 for Fenerbahce, which collected its fourth straight improve to 5-1. Bayern dropped its third game in a row to fall to 2-4. Nihad Djedovic led the Bayern attack with 16 points, while Paul Zipser, K.C.Rivers and Bryce Taylor scored 10 apiece. Bayern coach Svetislav Pesic made one change to the starting line with John Bryant starting for Dusko Savanovic alongside Alex Renfroe, Taylor, Djedovic and Deon Thompson. Fenerbahce boss Zeljko Obradovic subbed out two players in his first five with Jan Vesely and Nikola Kalinic playing for Bogdan Bogdanovic and Antic alongside Dixon, Datome and Udoh. 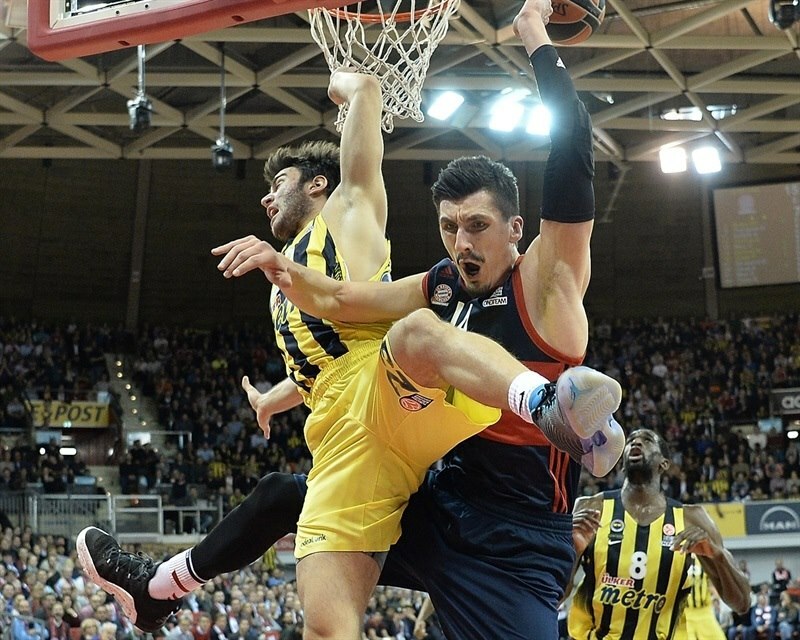 Kalinic opened the scoring with a dunk for the guests and after a steal in the front court Vasely threw down a dunk for a 0-4 lead after just 30 seconds. Vasely and Dixon followed with jumpers and after Bayern missed its second shot of the game - to go with 2 turnovers - Dixon nailed a three-pointer for an 0-11 lead - and a Bayern timeout with 7:42 left in the first quarter. Thompson finally got Bayern on the scoreboard at the 7:22 minute mark with a dunk. The yellow wave of offense continued with another three-pointer from Dixon and a jumper from Datome as the advantage grew to 2-16. After a Bryant tip-in, Dixon knocked down his third three-pointer to increase the cushion to 15 points at 4-19. Taylor and Thompson were able to score but Dixon continued his personal highlight reel with another three-ball and a jumper to make it 8-24 - with the guard having already scored 16 points. Young guard Berk Ugurlu came on and scored a layup to increase the lead to 20. The lead was 10-30 after 10 minutes following a dunk from Datome. Rivers started the quarter scoring with a three-pointer, but Bayern’s problem was getting defensive stops. Udoh hit Fenerbahce’s first basket and Melih Mahmutoglu nailed a triple from the left wing to re-establish a 20-point lead 15-35. After Vasilije Micic free throws, Zipser cleaned up a loose ball after Ugurlu blocked Djedovic on a fast break to make it 17-35. Datome answered with a three and Antic nailed a trey of his own as the gap swelled to 19-41. Zipser tried to keep Bayern close with a three-pointer but Mahmutoglu punched right back with another triple for a 22-44 advantage. Bayern followed with its best sequence with Bryant hitting a baseline jumper, Renfroe nailing a three-ball and Thompson’s free throw for a 6-0 run to trim the margin to 28-44. Mahmutoglu raced back after a free throw for a layup and then Datome sent Vesely through the air for an alley-oop and a 28-48 lead. 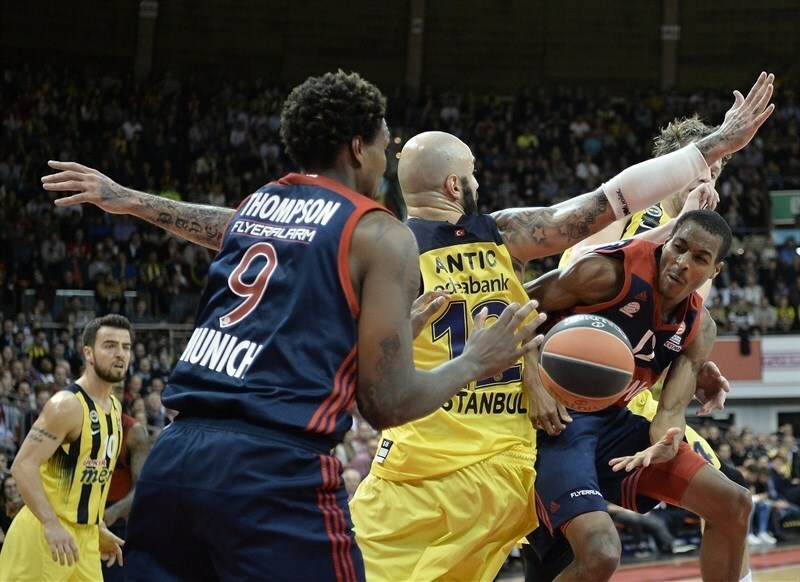 Thompson and Udoh swapped baskets in the final minute and Fenerbahce led 30-50 at intermission. Dixon continued his hot shooting with a triple to start the second half for a 30-53 lead. Taylor’s free throws were Bayern’s first points of the quarter. 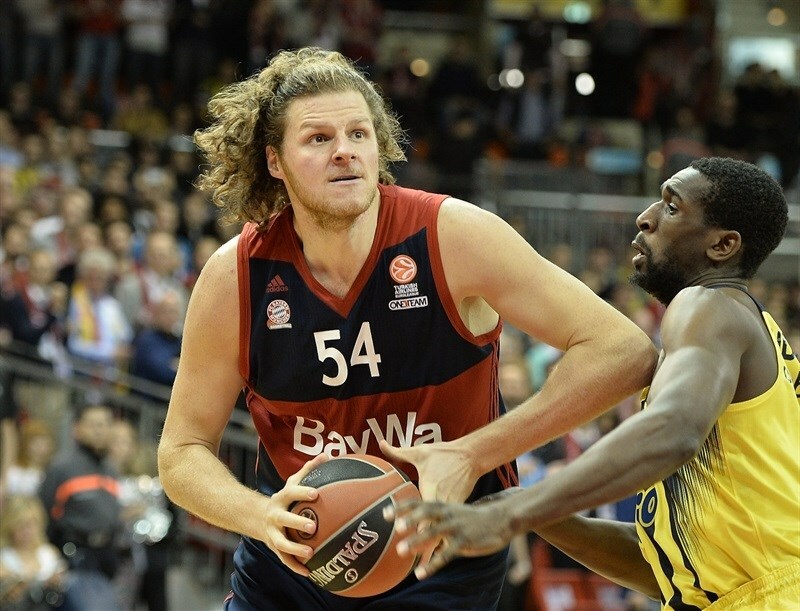 Udoh’s hook pushed the lead back to 23 points, but Taylor knocked down a three-pointer followed by a Djedovic jumper and a Rivers triple and Bayern was to within 40-56. And another Taylor triple trimmed the gap to 43-58. But Datome was there to nail a three-pointer with the shot clock winding down. Datome added a dunk and bonus free throw as the advantage was back up to 22 points - 43-65. 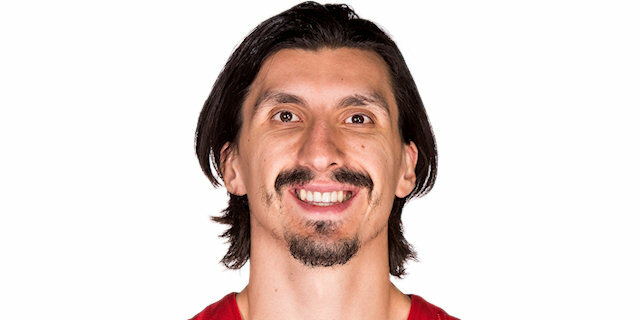 Bayern continued to hit three-pointers with Djedovic nailing one from long range and Rivers scored inside to get the deficit to 48-65. 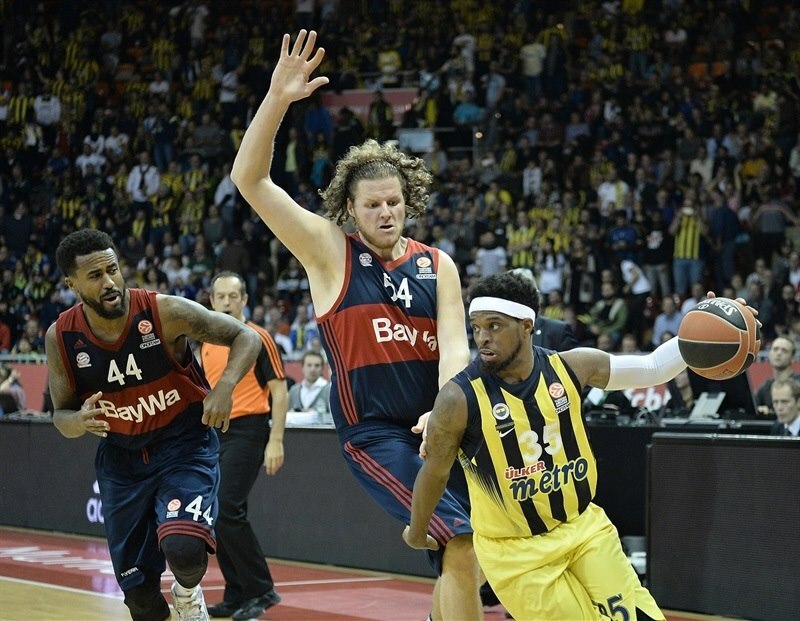 But Udoh’s two foul shots left Fenerbahce up 48-67 after three quarters. 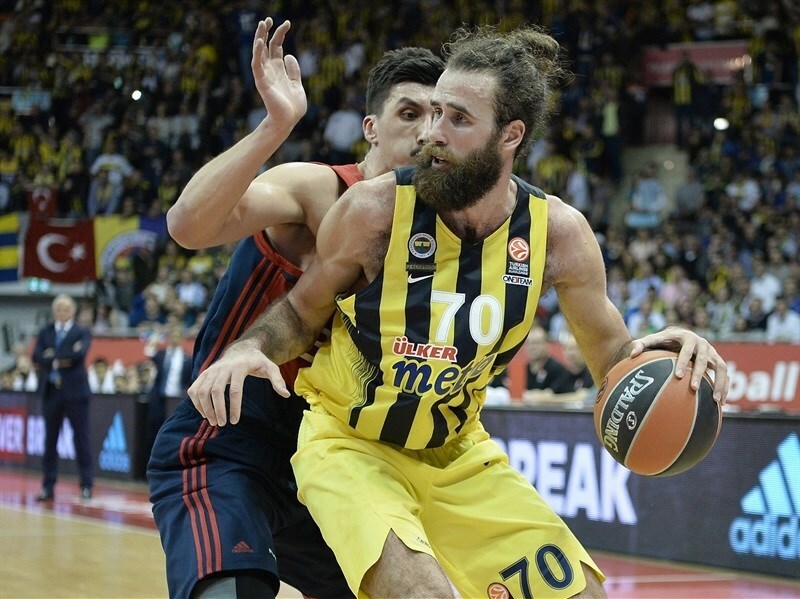 Vasely’s free throw opened the fourth and Fenerbahce’s cushion was back up to 23 points after an Antic corner three to make it 48-71. A Djedovic layup and Renfroe layin got Bayern to within 52-71. But Antic again was on target from the right corner and Dixon knocked down his sixth three-ball and the cushion was 54-77. 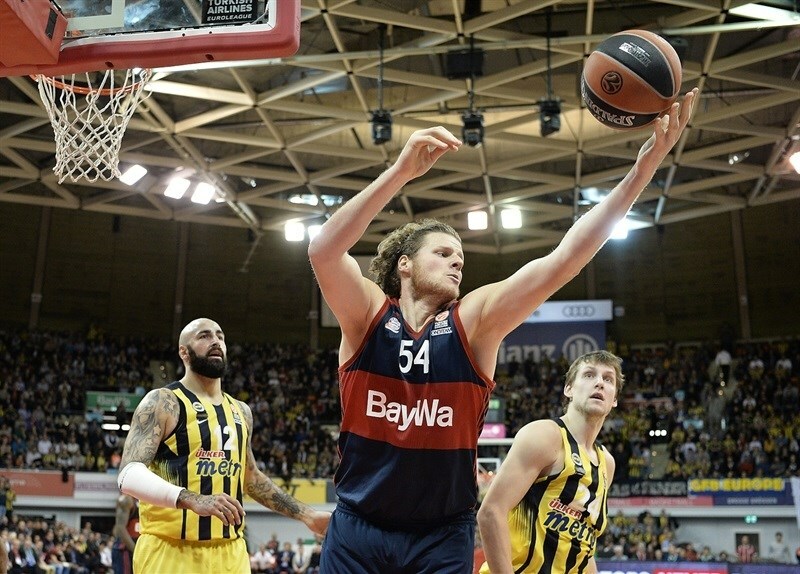 Bayern wanted to at least cut into the deficit for point differential as Renfroe scored and Djedovic converted a three-point play and two more free throws to make it 61-77 with four minutes to play. 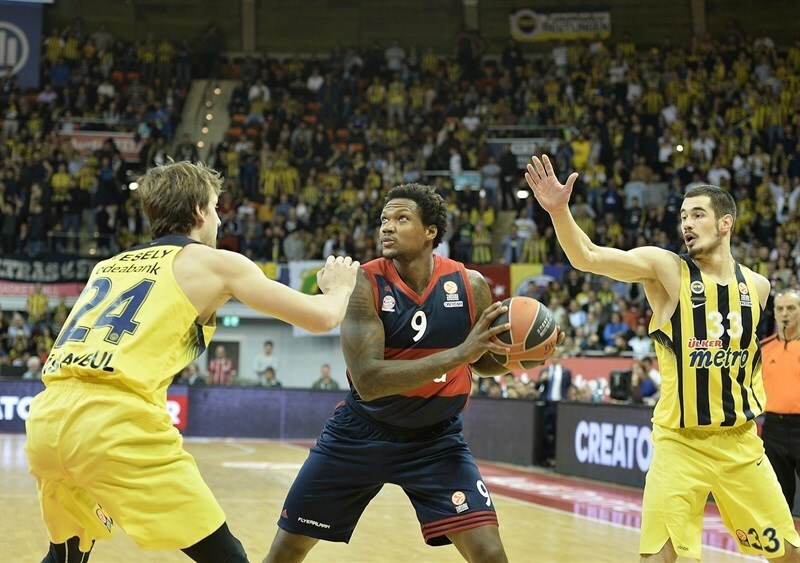 Dixon nailed yet another three-pointer to stop the Bayern run inside the three-minute mark and Kalinic knocked down a long two as the lead grew to 61-83 with less than two minutes to play. 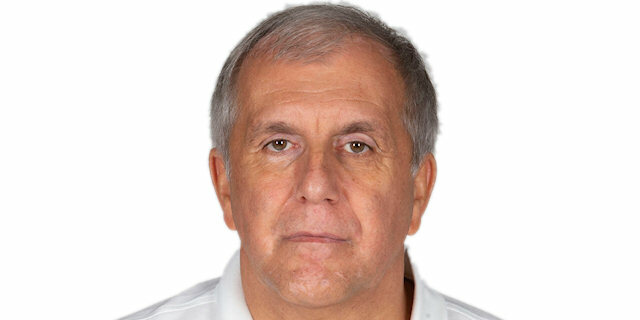 The remainder of the game saw Fenerbahce coach Zeljko Obradovic send out his young prospects. "They played excellently the first 10 minutes. Fenerbahce was better. They moved the ball excellent, made practically every shot. After we woke up we played better. We played better defense, and in the end, we lost the game, but we won the second [half] and never gave up. We fought until the end, even though Fenerbahce was special - like from another world. " "I want to congratulate both fans for an excellent atmosphere. I think this is very good for basketball. It’s really something to help basketball to be at the level we want it to be. We opened the game very well. We opened very aggressive defensively. We moved the ball excellent in the first quarter. To score like we did in the first quarter was not normal. We took a 20-point advantage and played well the rest of the game. We knew that Bayern is a good team and I told my team at halftime that they would come back in the second half. They continued to fight until the end. 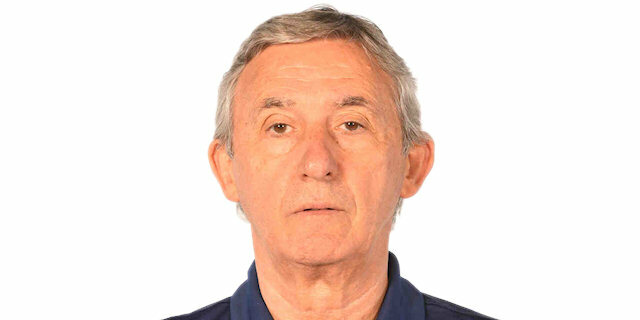 I know Coach Pesic and that they would never good up. I’m satisfied with the game and now for me it will be really good to see how we react in the Turkish championship. We have had a lot of up-and-down games. " "We just played poorly. Nothing worked on offense or defense. We wanted to come back in the second half, but 20 points was too much. We wanted to come back and show character for our fans. It was tough to find our rhythm against Fenerbahce. Maybe we wanted it too much. " "We started good with an 11-0 lead and led by 20 points after the first quarter. We just stayed with the lead the rest of the game and tried to play good. It was a very, very good game for us, very important to play hard defense like we wanted to. It was a good result for us. Bobby is incredible. When he gets it going, it makes it a lot easier for everyone on the court. He got some open shots and hit them; it was a great game for him, but also for the whole team. "